Rich Chew "2008 Local Hero"
Not everyone’s path in surfing is clear-cut. 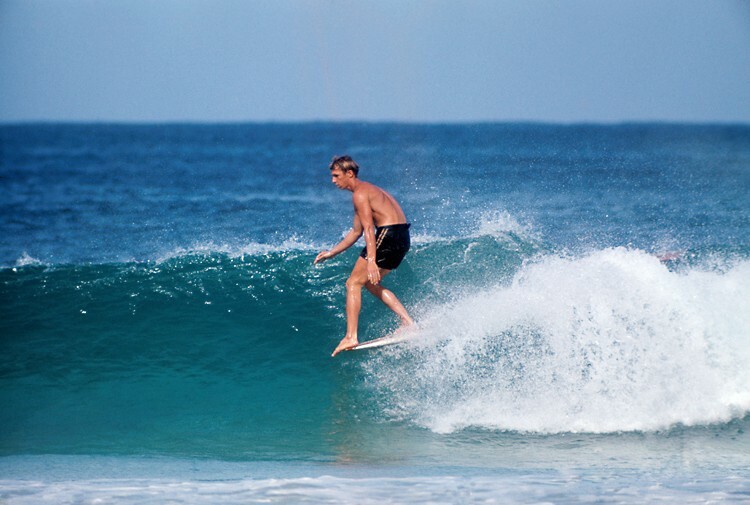 For the 1964 United States Surfing Association (USSA) champion, Rich Chew, competitive surfing proved a worthwhile venture. 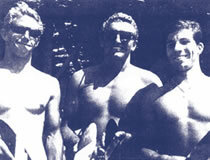 Chew began surfing in 1957, at the age of 13 in Seal Beach, California. And with his win at the newly formed USSA contest series (the first to crown someone from points compiled from a series of contests), Chew seemed like he was well on his way. Before long, he appeared in two surf movies (The Performers and Inside Out), made the cover of Surfer magazine, Surfing Magazine and Longboard Magazine, and was invited to compete at the inaugural Duke Kahanamoku Invitational. 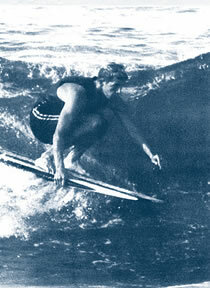 He also made the semifinals at the 1968 World Surfing Championships in Lima, Peru. More recently, Chew won the 2002 Rabbit Kekai Longboard Invitational in Costa Rica. But surfing can take you through many twists and turns in life. Even though he had his own Harbour Surfboards model and then later an Infinity Surfboards model, longboarding eventually gave way to the shortboard revolution and Chew decided to let his love for the ocean serve others. He began lifeguarding in Seal Beach, California in 1964. 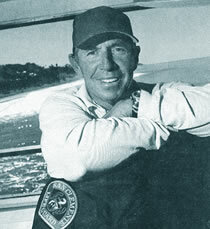 In 1974, Chew took his lifesaving skills to San Clemente, California and had recorded thousands of rescues to date. He retired in 2007 and now enjoys oil painting and being a deck hand on sailboats between Huntington Harbor and Mexico. Chew credits his Christian faith for bringing him through a lot of challenges through life. He’s married and has a daughter and currently lives in San Juan Capistrano. PHOTO: Portrait on SC Pier "Come down here and look at this view, and tell me you wouldn't do the same thing," commented Rich to the Sun Post on his 32 years of lifeguarding at the San Clemente Pier. PHOTO: With Rich, prominent members of his peer group of the '60s: 2003 Surfing Walk of Fame inductee Mike Doyle and Steve Bigler.